Let's face it, Fiji is 'hot'. It's 'low' temperature is typically about 25 celsius, and it's summer temperatures are about 30 celsius. That means people get thirsty and we have the perfect solution (pun intended). Freshly squeezed local lemon juice, with ice and a dash of mint. 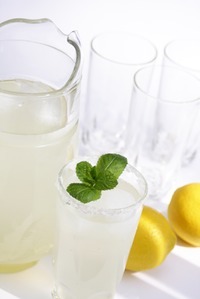 Flavour to your taste with additional lemon juice concentrate or sugared water. It's something that our grandparents would have made and enjoyed but we've had a lot of fun bringing it back. Everyone who has tried this comes back for more. Good food, good atmosphere in Suva's CBD. Contact us +(679) 330 4662, or use email from here.